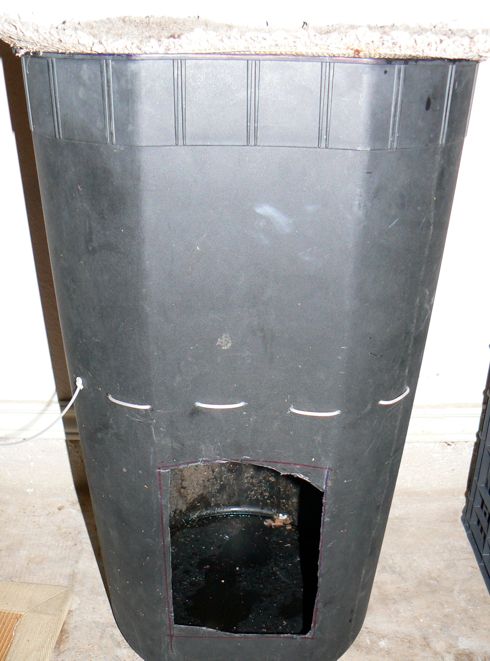 Inspired by Bruce’s flow through worm bin design at wormcompostingblog.com, and Cassandra Truax’s podcast interview w/ “worm dude” Jerry Gach. I had some plastic buckets laying around, and decided to build a couple for myself. I cut out the hole w/ tin snips. 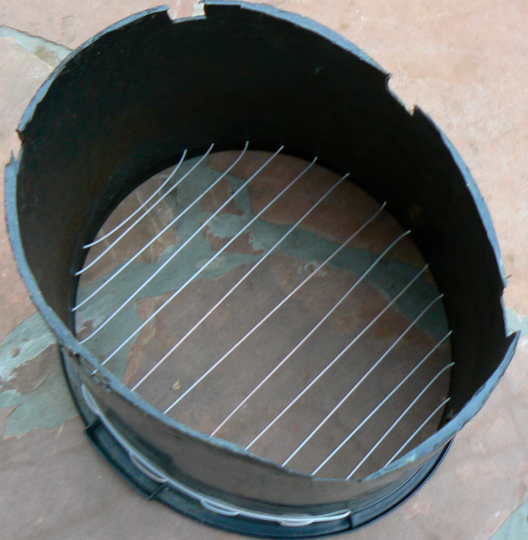 Holes were spaced 1.5″ apart to thread weed eater line through using a 1/8″ drill bit. The first layer (6 sheets of damp newspaper). 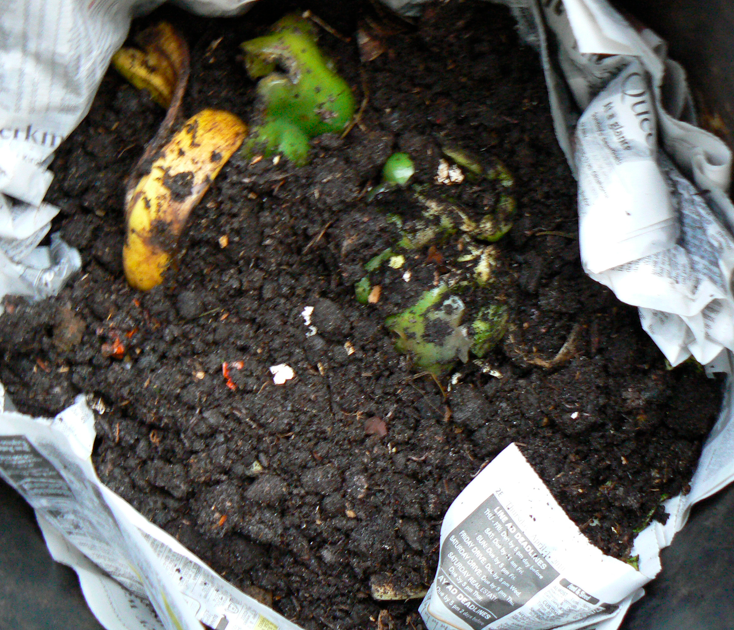 Next, I added some red worms, and layered some partially finished compost for bedding. 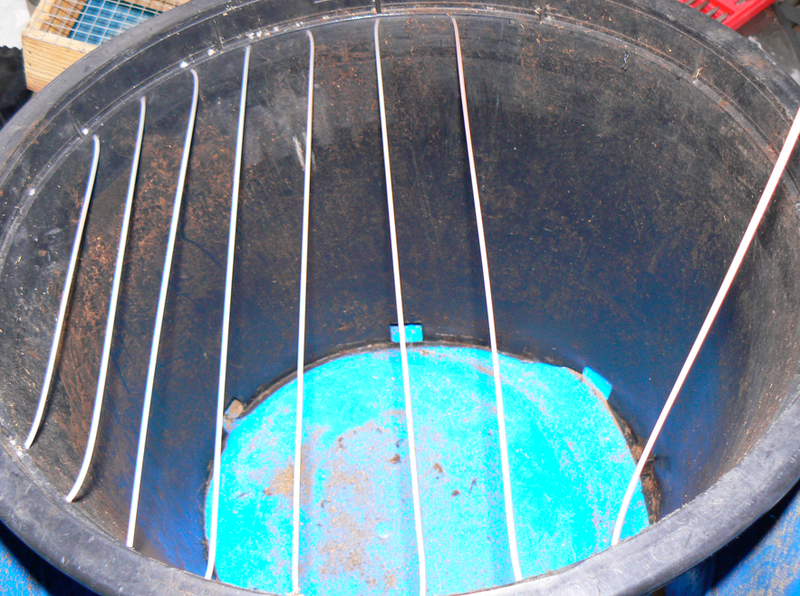 I will add food scraps to the top and cover with some cardboard. 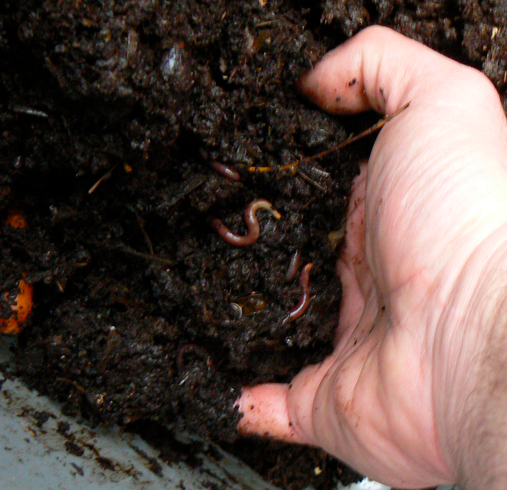 The idea is that in a few weeks the worms will continue to work their way to the top and the finished vermicompost will flow through the weed eater line to be harvested from the bottom of the bin. ← The Greenest Gift. What to get a gardener for Christmas. Glad to hear you were inspired by the podcast! Let us know how the flow through works out. You bet. Keep those podcasts coming. How is this system working? I’m hoping to build one in the next few weeks. Do the worm castings come down through the weed eater line or do they clump together and get stuck? I am thinking of modifying mine to include a horizontal “stir-stick” above the weed eater line. The stir stick would be a good modification. You’re gonna need to agitate to get it to flow. I’m in Texas also and would like to make a flow through system like yours and keep it outside so I’m wondering if you keep yours outside, how are the worms doing with the heat? Thanks for your post, looks like a great system. 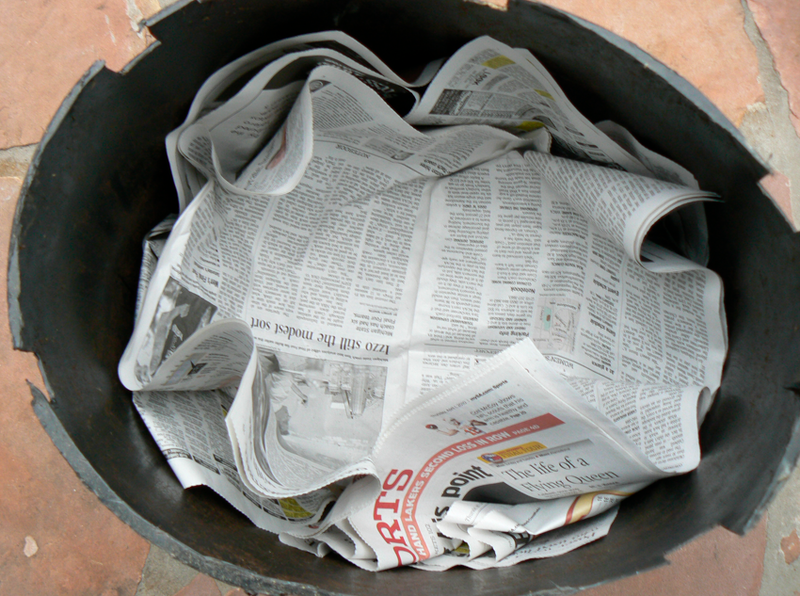 I have moved away from the flow through bins I have tried. You are welcome to try it, but my experience has been that too much airflow keeps the bottom dry. It still works, but with trying many set ups, I prefer to harvest castings w/ my harvester.